Gate 12 at China Grade in 2015. We get the message. In my travels around the world, I’ve noticed that nowhere else is the concept of “private property” so zealously defended by landowners than the US of A.
I attribute some of that, especially in the Western U.S., to the persistent Old West mentality where a man defends his homestead from real threats with his trusty gun. Times have changed and I wish our laws would change to keep up with the times. In Europe the “Freedom to Roam” operates in many jurisdictions when it comes to allowing people to use others’ lands. As long as you’re just passing through, say on foot or on bike, not hunting, fishing or in any way defacing the land, public access is granted. Civilized Europe has been around for millennia, which I believe is the reason for this enlightened approach. Likewise, some areas in Asia follow the same “Freedom to Roam” principle. For example, on Malaysia’s millions of acres of rubber tree farms, mountain bikes are allowed in many sections. In the Western U.S., native Americans did nothing but roam, but this way of life came to a screeching halt with the arrival of settlers from back East and the introduction of barbed wire in the 1870s. 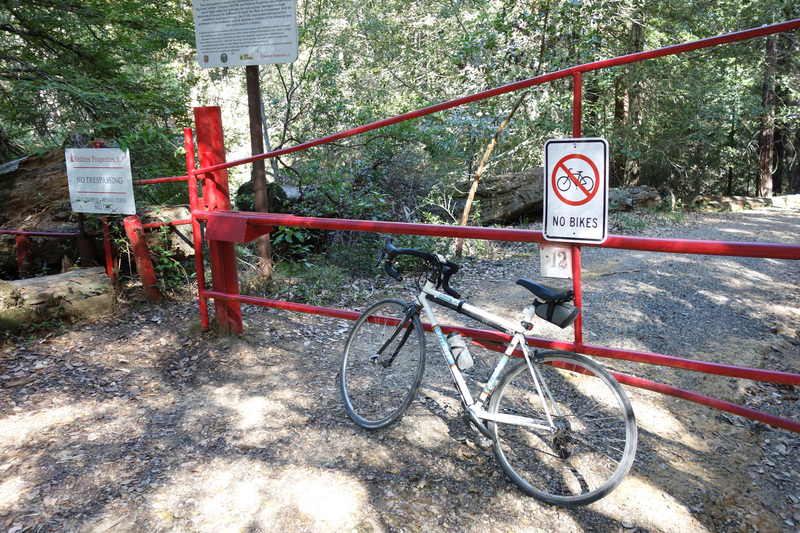 In the Santa Cruz Mountains, the Freedom to Roam principle could be applied in many locations, especially private logging roads. I’ve ridden these private roads, and others, for decades and never had any issues. It’s a different story today. 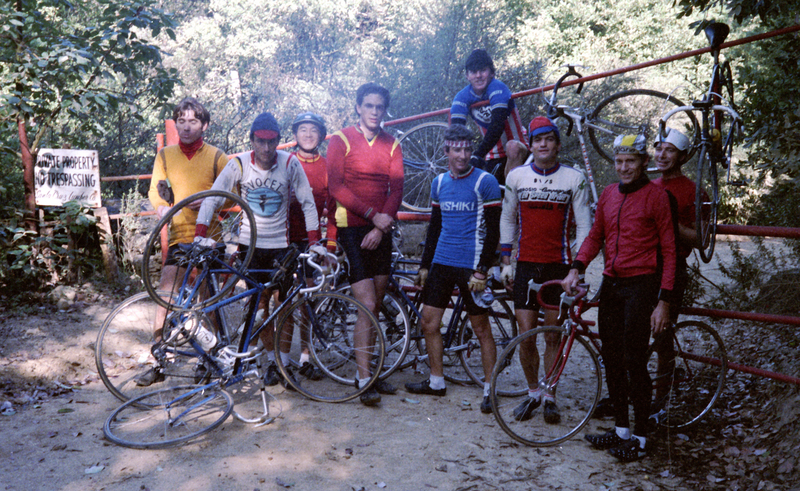 Back in the early 1980s we didn’t have many mountain bikes, so seeing a bike was an oddity. Lumber companies will claim liability issues, but the “Freedom to Roam” takes that into account. The land user accepts liability, not the landowner. Public parks and agencies need to be more proactive about gaining easements on these roads, which often border their parks. I’m not optimistic such an enlightened approach will happen in my lifetime, but it will happen, eventually. This entry was posted on April 4, 2015 at 8:41 am and is filed under History, News. You can follow any responses to this entry through the RSS 2.0 feed. You can leave a response, or trackback from your own site. ray, can we bike “legally” on china grade road? I thought that was an open route. Never been on it……hope to change that soon. Sure. China Grade runs from Hwy 236 to the end at a boy scout camp. Paved for 2 miles then 1 mile of dirt. Gate 12 is the end of a road that starts at the Haul Road and goes to China Grade, shown, where the dirt starts. okay, i suppose you have taken that route (Haul Road to China Grade) a few times…..must be very cool route. Do you know if Kings Creek Rd is bike-legal? I found it on Strava Heatmaps, but not many seem to have ridden it. Looks like it ends at the Mt McPherson Christmas tree farm near Castle Rock SP.